Fall fashion is one thing I love, especially when it comes in the form of ALEX AND ANI! If you’re curious as to what releases we have lined up this October at Disney Parks, wait no more! Here are all the details and a look at what you can expect to find. On October 12, add texture to your bangle set with new braided leather wraps available in cream leather with Rafaelian Gold Finish accents and black with Rafaelian Silver Finish accents. 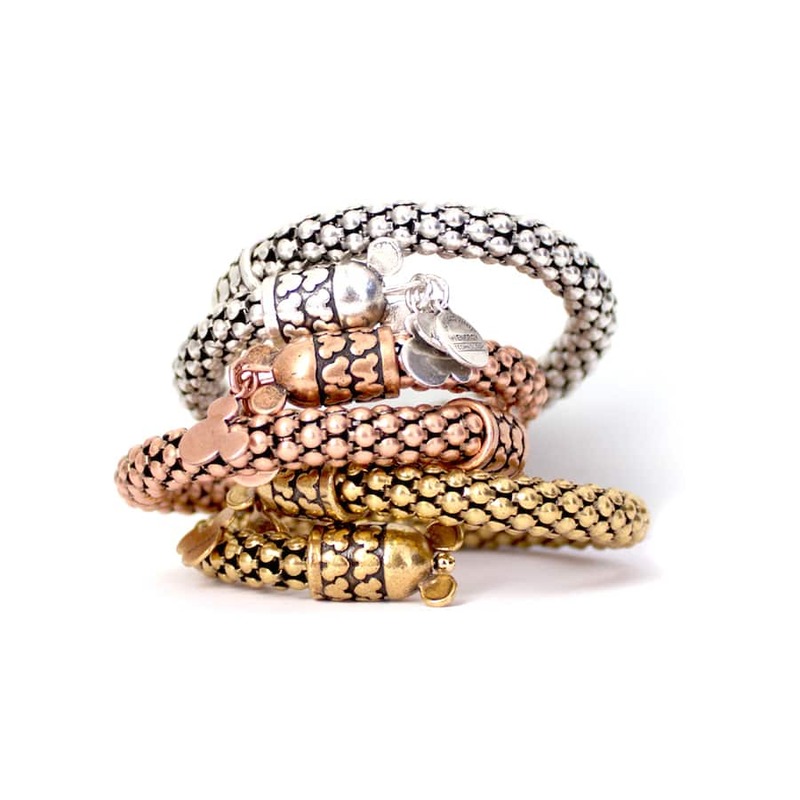 There is also the intricate Gift of Wisdom Wrap, which you will find in Rafaelian Gold, Rafaelian Silver and Rose Gold Finishes. My favorite part about these wraps is, of course, the Mickey Mouse shaped-head on the end of both sides! 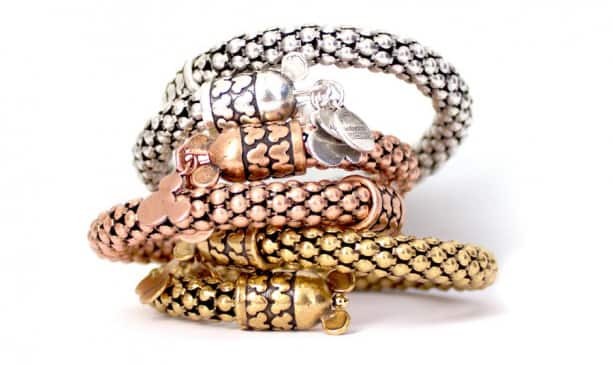 Debuting October 19 is a nostalgic line considered part of the ALEX AND ANI “Precious” collection. 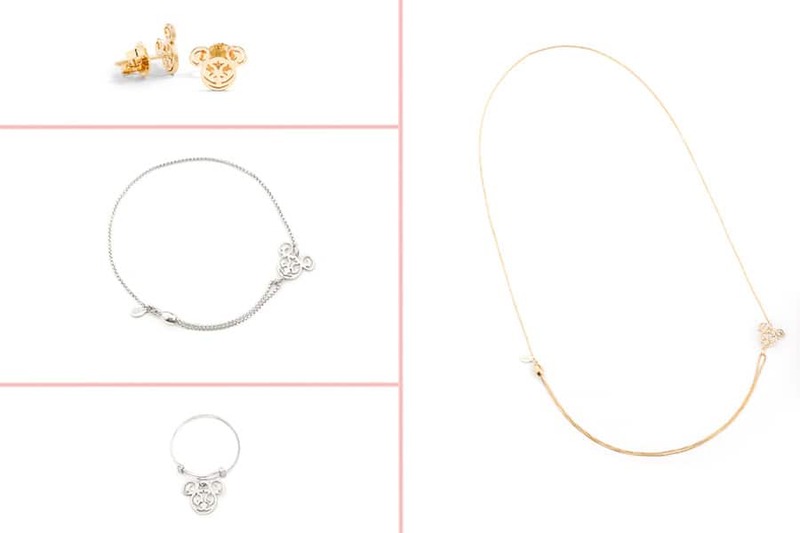 These beautiful new pieces include a Mickey Filigree expandable necklace and ring, a pull chain bracelet and post earrings. Each item will be sold individually in .925 sterling silver or if you’re a fan of gold, look for the 14kt gold plated version. Tip: Please note that only Downtown Disney District and Disney Springs locations will offer the “Precious” collection at this time. 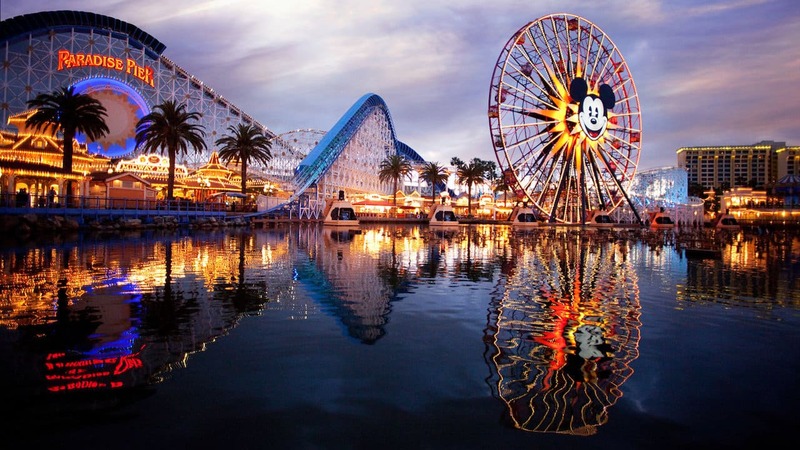 Tip: The wraps shown above will be available online on or around the same dates as they debut at Disneyland and Walt Disney World Resort merchandise locations. Please note: The “Precious” collection will not debut online until November 23. Which one will you add to your collection? Will the Rapunzel and Ariel bangles restock on disneystore? I recieved the silver as a gift and really wanted to exchange them for Gold. Can anyone tell me the price of the Mickey filigree ring and necklace?!? 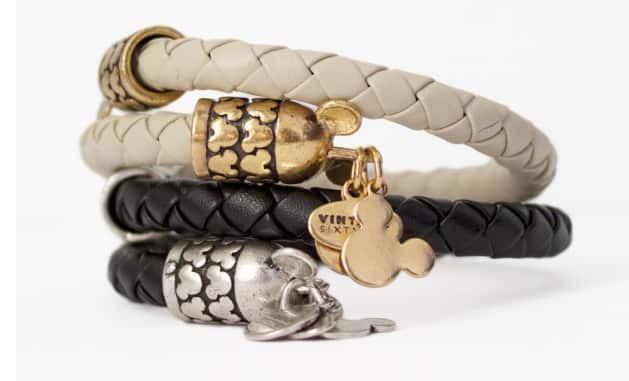 Will the new braided leather wraps be available through the Disney Store? I read the article like they would be, but I haven’t been able to find them. Such a sad day. Any word when a new Hollywood Studios bangle will come out? Hi Kimberly! Sorry no word regarding a new Disney’s Hollywood Studios bangle but I’ll keep you posted. I have been waiting for rings!!! this is so exciting!! Those wraps are adorable!! Thank you for the update! How much will the wraps cost? The braided leather wraps are $44.94, while the Gift of Wisdom wraps are $64.95. Oh no! They debut the day we fly home! I’ll figure it out, keep bringing them on! @James’ wife there’s more where this came from too. Just wait!